Are the Super Sons done for? 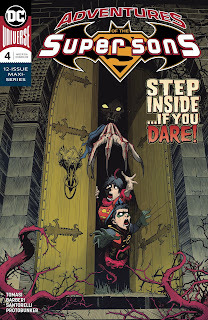 Robin and Superboy have just learned what truly happened in the future but the surprises are not over since they're about to find the least expected persons. This story continues and is still fun as ever. Peter Tomasi offers a new installment where he brings more revelations to the table. The reason why this kids decided to become villains is finally explained and is pretty fitting considering we're talking about children after all, not to mention that some of them like Joker Jr. have their own agenda and makes them more interesting in their own way. 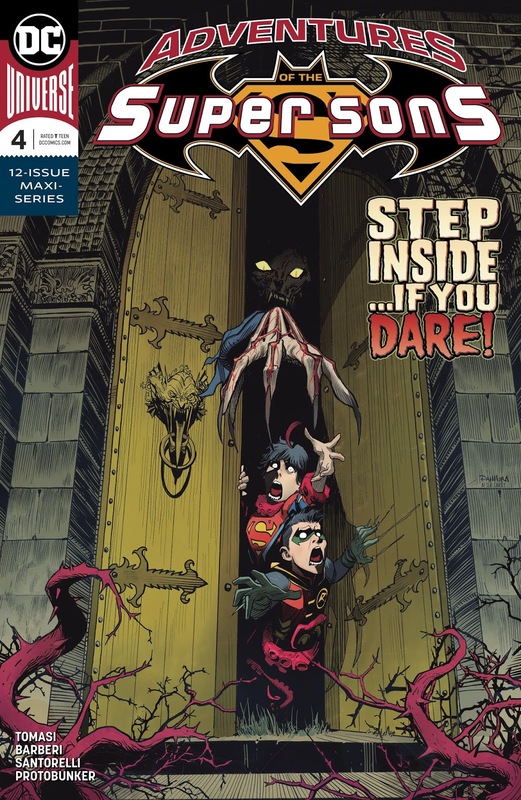 The characterization is still solid thanks to the enjoyable dynamic between Damian and Jon and I'm glad that someone is still able to handle Jon after his disappointing appearances in Bendis' Superman. The plot progresses at a quick pace and delivers a few sub-plots along the way. Best of all is what happens at the end since the protagonists find a strange house where they find a couple of heroes who I should have had seen coming but still is a fun surprise. Carlo Barberi handles the art and is really good looking thanks to the vibrant style and strong action scenes. Entertaining read, can't wait for the next one.